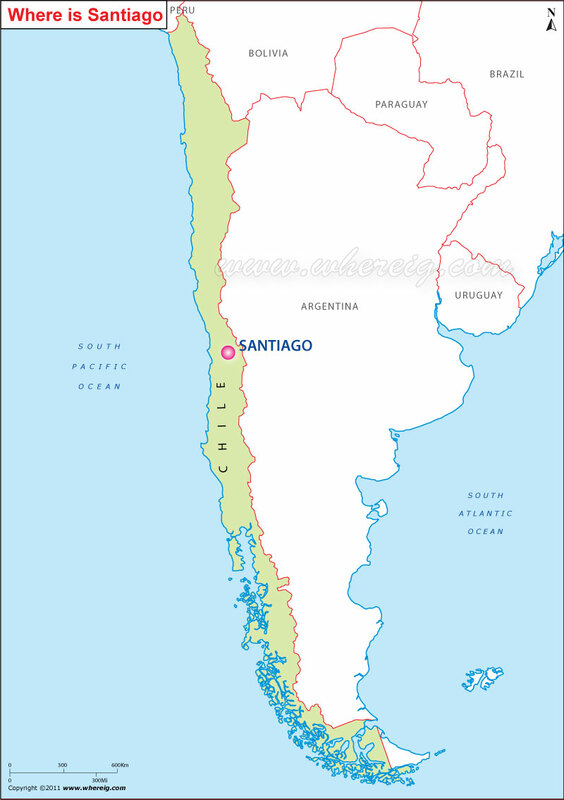 The given Santiago location map shows that Santiago is located in the central region of the country Chile. It is the largest and capital city of Chile. The city was founded a long back i.e. in the year 1541, but since that time it has been experiencing the steady growth; today, Santiago is one of the most advanced metropolitan areas of Latin America. The city has extensive suburban expansion, numbers of shopping centers and malls, multi-stories architectures and various other developed infrastructures such as Santiago Metro (under developing condition), modernized pubic bus transport etc. Furthermore, Santiago is an Alpha World City. It is a financial center and the regional headquarters of various multinational companies. Above all, Santiago has a diverse cosmopolitan culture in South America.